Photographer: Giampaolo Sgura. Model(s): Julia Stegner. Source: Vogue Germany. Stylist: Christiane Arp. Makeup: Jessica Nedza. Hair: James Rowe. 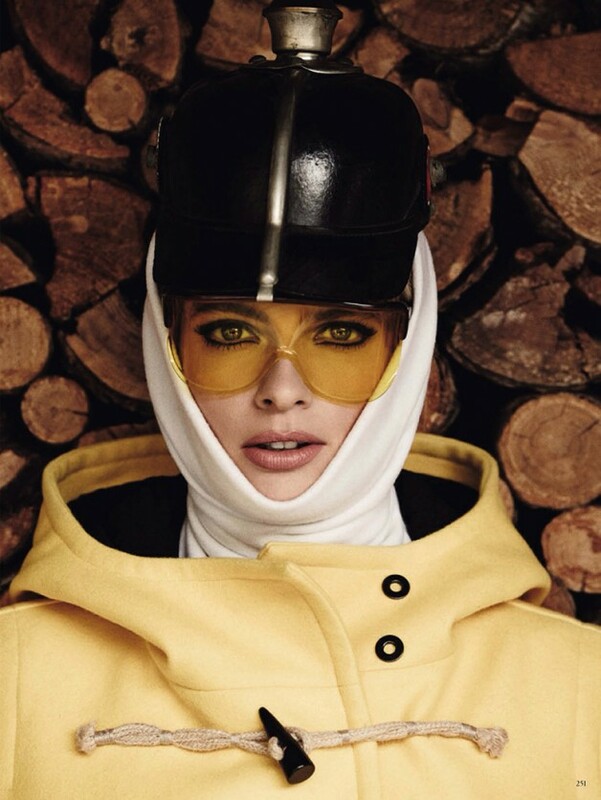 Channeling 60’s beauty icon Ann Bonfoey Taylor, Julia Stegner turns ski-wear into a Couture Affair in ‘Snow Queen’ by Giampaolo Sgura for the December 2013 issue of Vogue Germany. Part of a group of well-known people that had perfected the art of living well, the stunning socialite was a fixture at all the big runways shows and a serious style influencer among the fashion elite. A beautiful bonvivant once described by Balenciaga as, “downhill racer meets Denver dinner party,” she single-handedly redefined the idea of high end Winter Wear. An Olympic skier, championship tennis player & licensed pilot, Bonfoey would bounce from one athletic activity to another, looking amazing at every turn. Inspired by that same spirit of luxury and adventure, Stegner hits the slopes in retro-modern ski-wear, so outta’ this world cool, you’ll be lookin’ to trade in your Bora Bora fantasies for a little seasonal skiing at the Swiss Alps. Dressed to thrill (Stylist) Christiane Arp mixes 70’s chalet-chic with a hit of western-eclectic for fashion that’s not afraid to go high altitude.